· 4 Deep-Kneading Shiatsu Massage Nodes – Mimic the kneading and penetrating motions of a real massage therapist’s hands, helps with relax and relieve muscle tension in the car, office and home. · Perfect Massage Spot – Allows massage your neck, lower & upper back, shoulders, lumbar, calf, and so on. 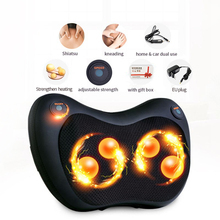 · Heating Function – it is good for blood circulation with warm temperature, but not hurt to your skin. 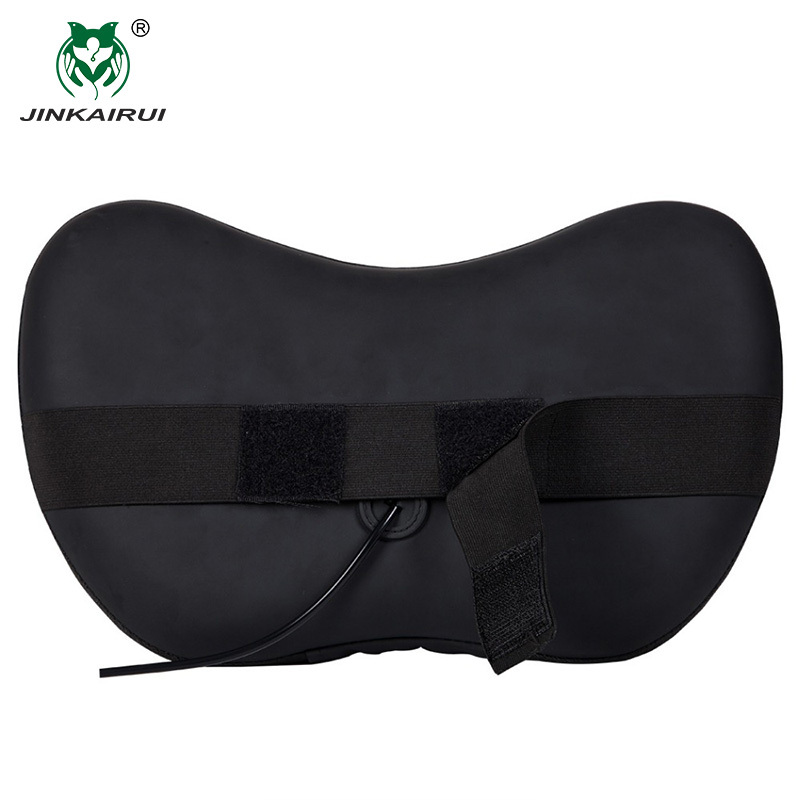 · Ergonomic W-design – follows the contour of body and allows focusing on a specific target area. · Quality Warranty – Provide a full refund within 30 days with no reason and 2 years warranty with any problems. · With more attention than ever on improving well-being, massage has become a popular treatment. 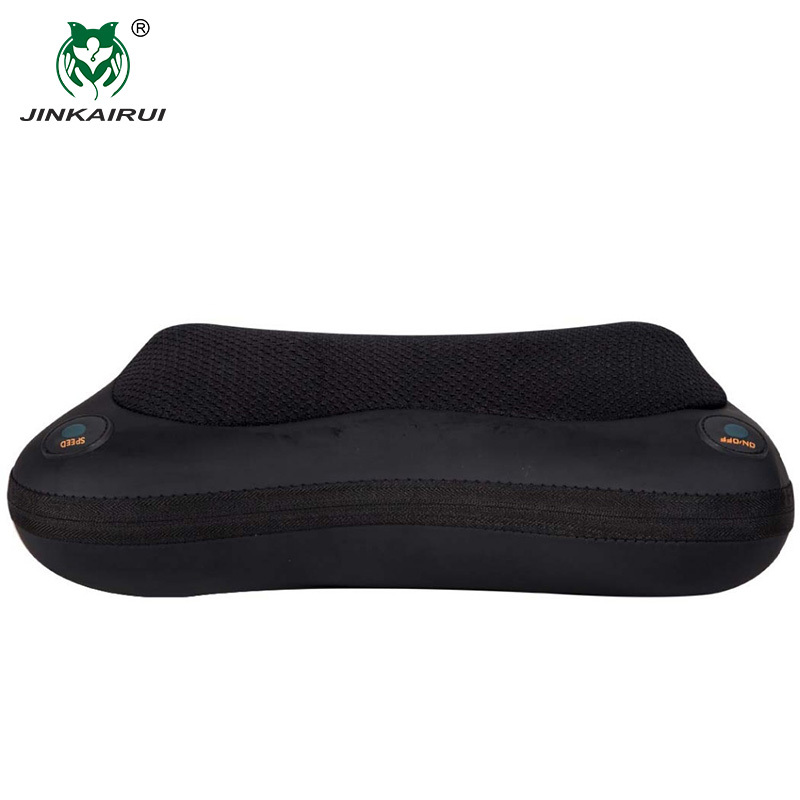 As shiatsu back and neck massager, it relieves stress and fatigue, and has proven to improve blood circulation. This massage pillow enables you to easily add these benefits to your daily routine. At home, in the car, or at the office indulge in a stress relieving deep massage to keep you feeling relaxed all day. 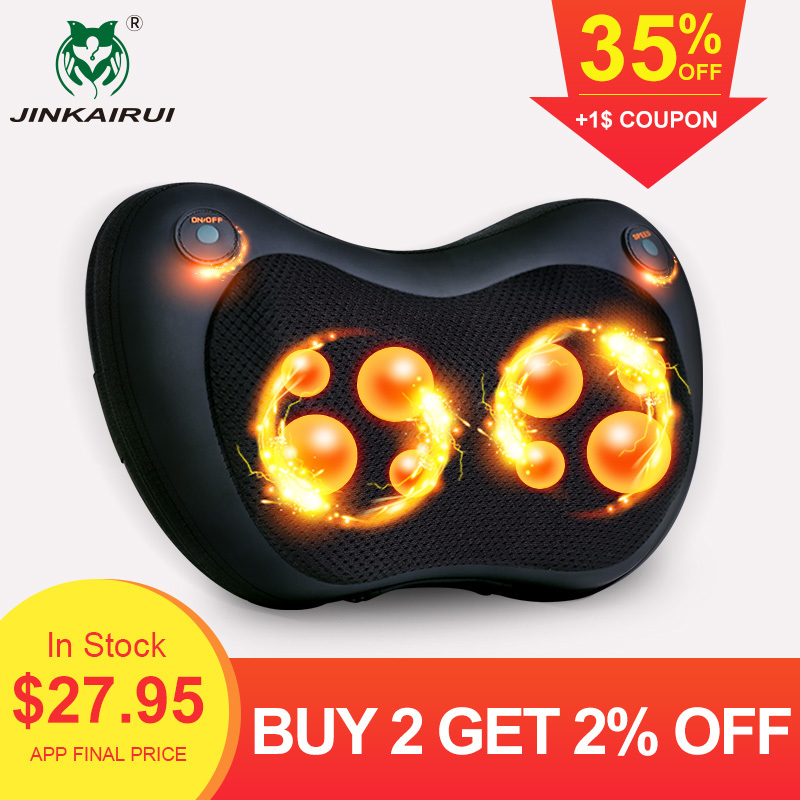 – 3D kneading shiatsu massage heads that relax and relieve tense muscles. 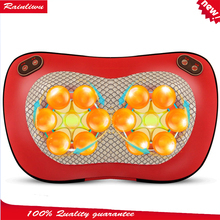 – Pillow Massager will change the direction of kneading automatically every 1 minute. 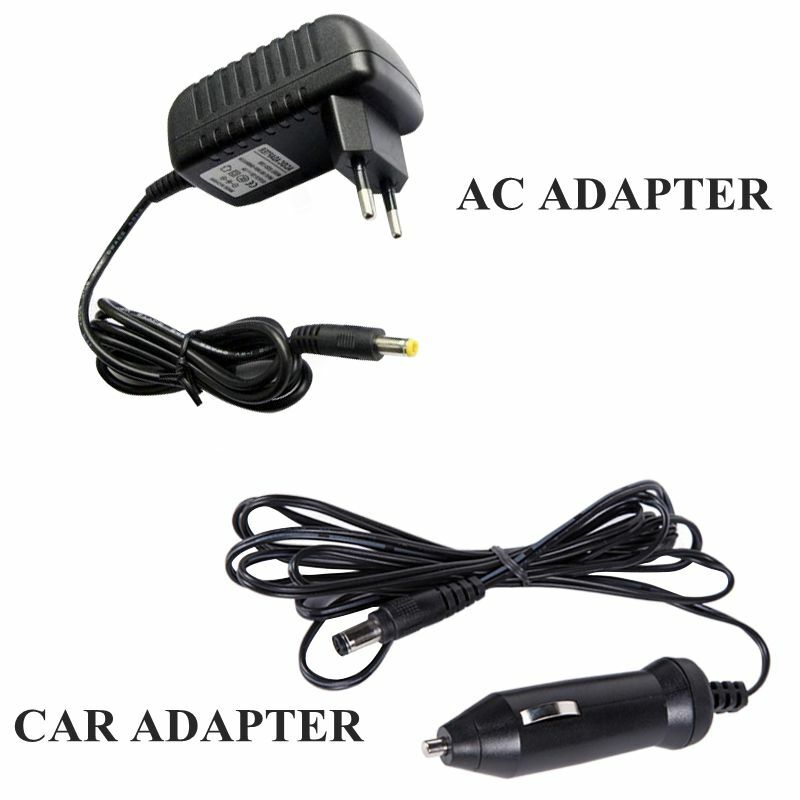 – charger and FREE car adapter are included. 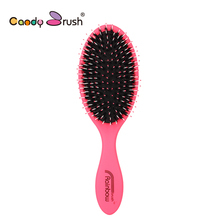 – Programmed with 15-minute Auto Shut-Off to guarantee safety and equipped with Overheat Protection Device. – Press the power switch is begin to work with heat. – Press the power switch again, the massager is only kneading without heat. – Press the power switch for 3 seconds, turn off the massager. – Press the button(speed) to adjust the speed, there are 3 speeds. Pay Attention to:The passanger can have a massage anytime in a car. 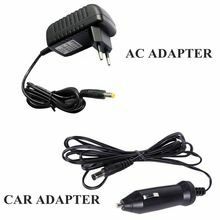 However, the driver should not use it when driving.